Perfect for use with our Micro Burner above, this burner stand features an adjustable and removable plate to hold burner at any height for heating. 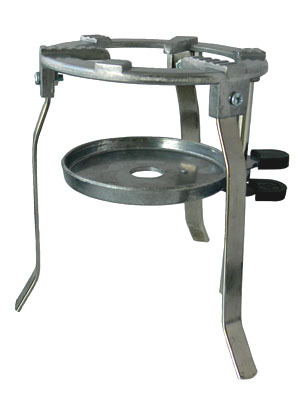 The burner stand is die cast in Zinc and measures 4.5" diameter and 6" height. Will fit any burner that has a base diameter 3" and height of 4.5".